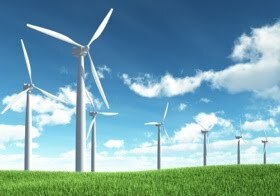 Renewable energy legislation looks to be absent from the tax cut stimulus package despite Obama's previous emphasis on the importance of green energy in stimulating job growth. While proponents are still hopeful that democrats will be able to add renewable energy in response to the high cost of tax cuts, energy is currently competing with a crowded legislative agenda. See the following post from The Street. As President Obama's massive tax cut plan reaches its final stage of negotiations, renewable energy, one of the President's hallmark items, again finds itself a beggar at the Capitol Hill ball. The impact of the cash grant program - and the fact that the renewable energy industry wasn't necessarily expecting to win this fight - could be seen in the decision by solar bellwether First Solar(FSLR) to begin constructing a solar project it had not yet sold in the third quarter, to make sure the project would be eligible for the cash grant. First Solar isn't alone among the solar companies with an increasing reliance on large-scale solar projects in 2011. The list also includes SunPower(SPWRA_) and MEMC Electronic Materials(WFR_). Some in the renewable energy industry argue that the sector, especially the struggling wind sector, can't absorb the loss of the cash grant program now. Yet the President Obama and Congress only seem concerned that Americans and the American economy can't absorb a prolonged tax cut battle. The performance of the U.S. wind sector has been atrocious this year, with an expected first half bottoming out of the sector lingering throughout the year. Wind turbine maker Broadwind Energy(BWEN_) has been the poster-child for the woes of the wind sector, down 75% this year. The natural gas vehicle lobbying effort, which is critical to companies including Westport Innovations(WPRT) and Clean Energy Fuels(CLNE) -- Clean Energy Fuels CEO Andrew Littlefield has been among the prominent spokesman for the "Pickens Plan" throughout 2010 - faces an uphill battle with Democrats who don't tend to support non-union industries or fossil fuels. This article by Eric Rosenbaum has been republished from The Street, a site covering financial news, commentary, analysis, ratings, and business and investment content. Informative post. Thanks for giving info on The President's "about-face" on projects to expand renewable energy industries. Is Congress really not going to renew these projects?